When I was granted the opportunity to review some products from the Hamadi line, I jumped for joy! I have heard nothing but good things about this line. I like that the products are made in Canada and in the US and that all of the essential oils and plant extracts used are 100% certified organic. 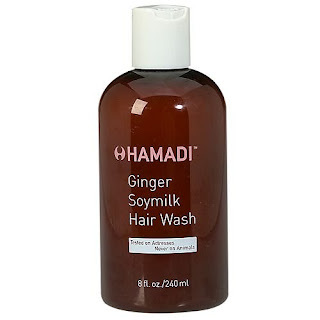 Hamadi's philosophy is "Replenish and nourish your hair and the earth." I was sent a few different products to try: The Honey Soy milk Hair wash, The Lemon Mint Hair wash, The Ginger Hair wash, The Healing Serum, Shea Leave-In Conditioner, and Shea Rice Milk Conditioner. First of all, I must say how much of a difference I have noticed in my hair since I have started using the product. I am on week 2 right now and my hair has never been more manageable. Flying hairs have been tamed and my mane smells delightful. Each product has a different blend of essential oils, making each product an unique experience. They are also gentle enough to use every day. The Honey Soymilk wash is probably the most suited to my hair type (which is fine) although I have had remarkable results with all of them. I find that if you are seeking the best results that it is best to use generously, it is quick thick for a "shampoo" and despite using generous amounts I found that the Hair wash goes quite far. I also found that because of the thickness it is easy to be deceived by how much product you have actually used. I found the Shea Rice Conditioner didn't last nearly as long as the hair wash. The Shea Leave in Conditioner is very comparable to the Shea Rice Conditioner except I find it goes much further than its counterpart. It can also be used as a moisturizer, clever. With the quality of the product and the fact that it is certified organic, I expected that the price would be far outside an affordable price range. To my surprise, the products cost less than most salon quality products. The Healing Serum... made my hair really greasy. I think this would have been perfect if my hair was thicker or suffering from severe chemical damage. 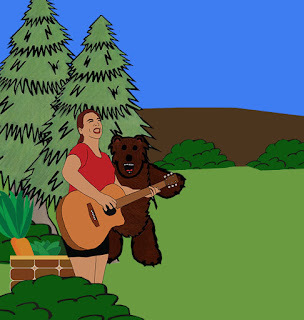 Fortunately, I was able to find an alternative use for it though. I am a razor burn suffering and the Healing Serum replenished my skin with the right amount of moisture to heal the old bumps and keep new ones from surfacing. This pleases me. Thank you so much to Hamadi for giving me happy hair and happy legs. I personally find it a tad difficult to dislike a company whose slogan is "Tested on Actresses, not animals"
I received a complimentary box of new Gluten Free Honey Nut Chex from Mom Central Canada for the purpose of reviewing and an invite to the Twitter party, which I unfortunately could not attend as we had a jam scheduled for that night. The whole family got to try the cereal and I was pleased with how flavorful, light and crisp this cereal was compared to most that we have eaten. The children were especially fond of the cereal and already prefer it to many of the other cereals we purchase. 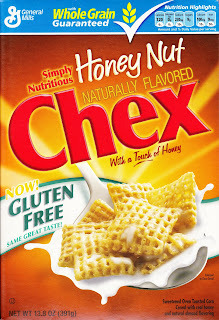 The main complaint that I have been hearing throughout the lovely land of bloggers is that the Gluten Free Chex and regular Honey Nut Chex both identical packaging. 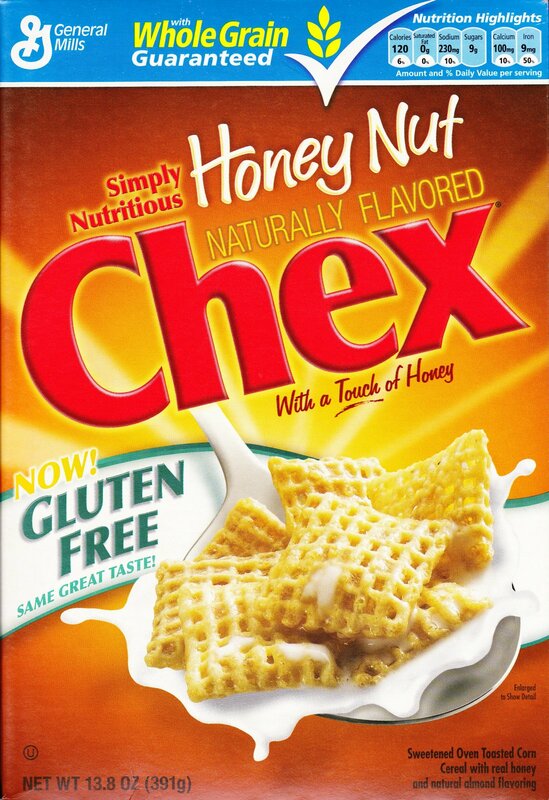 This speaks danger for our Gluten sensitive friends if they are not very careful when purchasing Gluten Free Honey Nut Chex. Please make sure that the box you select says Gluten Free, otherwise you might accidentally digest some barley malt extract.